Lately, there seems to be an onslaught of media attention focusing on the correlation between consuming a healthy whole-food based diet and optimal physical and mental health. And this is for good reason! There is overwhelming evidence pointing to the fact that an organic whole-foods based diet leads to better health, increased energy and an overall sense of well-being. 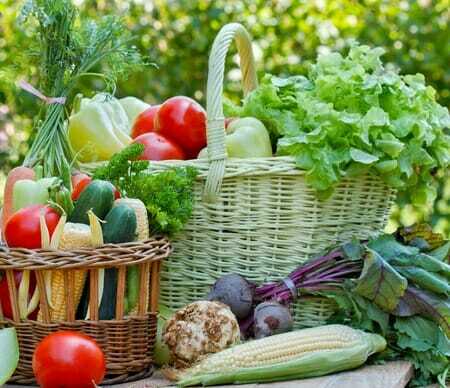 However, though we know that organic foods are of a higher nutritional quality than conventionally produced food, maintaining a diet consisting only of organic foods can be quite a challenge. Perhaps you live in a more rural area and do not have easy access to stores such as Whole Foods Market or Trader Joes. Sure, most local supermarkets and warehouse stores (think Costco and BJs) now have “healthy living” sections, but generally, these aisles have a very limited selection of wholesome products. And even if you do have access to the so-called “health food stores,” organic foods can be expensive! And let’s not forget about the importance of spending time reading ingredient lists—is it REALLY “all natural”? After all, nutrition information found on the front of a package is nothing more than a marketing ploy aimed at getting you to reach for the product. All of a sudden eating healthy seems to be more trouble than it’s worth! So although it is always best to buy whole organic foods, as hard as you may try, sometimes it just isn’t in your budget, zip code or time allowance. And I know this all too well! Being a working mom and living in a rural area on a self-imposed weekly budget, it is certainly a difficult task to keep my cabinets stocked with the wholesome essentials. But then I discovered Thrive Market and that was a game changer! Thrive Market opened its doors in 2013 with the objective of making healthy eating attainable by all. Thrive Market is an online shopping club that offers members the same healthy nonperishable foods found in local health food stores and supermarkets but at 25-50% of the retail prices. All products sold by Thrive Market are free of genetically modified organisms and are USDA certified organic when these options exist so that you can be assured you are getting the best products available without having to take the time to do your own research. They even carry supplements, natural non-toxic personal and home care items and wholesome pet food! And just to make it even easier, the merchandise is delivered directly to your door! Do they carry your preferred brands? Most likely! Spectrum Naturals, Bob’s Red Mill, Nature’s Path, Annie’s, Kind, Nutiva, Eden Foods, Garden of Eatin’, Newman’s Own, Seventh Generation, Meyers, Dr. Bronner’s, Jason Naturals, Alba, Avalon, and Desert Essence are just a few of the more popular brands offered. Do you have specific dietary or lifestyle preferences, restrictions, sensitivities or allergies? Thrive makes it easy for everyone to shop. Gluten Free, Paleo, Raw, Vegan? They’ve got you covered. Just click on the area designated for you! So how can Thrive Market offer all of their products at 25-50% of retail price? Thrive purchases their natural and organic products at wholesale prices and in bulk. The savings can be passed onto members since revenue is generated through membership fees of $59.95 per year, or about $5.00 per month. Thrive Market is on a mission to make nutritious food and sustainable items available to all. They have partnered with several non-profits so that for every paid membership they are able to donate a membership to a family who might not otherwise have access to wholesome foods and products. They have also pledged to be environmentally responsible and all packaging is made from recycled paper and is recyclable, and they are certified carbon neutral by carbonfund.org. This certification covers national shipping, packaging materials, warehouse utilities as well as the work commutes for team members. Thrive Market is also committed to supporting like-minded businesses by working with other sustainable businesses and vendors who share the same values. How can you join the Thrive community and save on the best healthy products for an entire year? Simply sign up for a free 30 day trial membership at the Thrive website, browse the thousands of products offered, place your order and in only a short time your organic and natural food and health care products will be delivered straight to your door. Doesn’t get much easier than that! ‹ Is Our Collective Poor Health Caused By “Modern Humanity”? › What Could Your Anger Be Telling You?